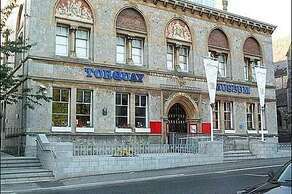 A quaint museum, situated on Babbacombe Road in Torquay, the Torquay Museum has something for everyone;Explorers and Prehistoric Exhibitions for the historical, an Agatha Christie exhibition for fans of the author, and an Alien Invasion exhibition for the sci-fi fans and movie buffs. Cockington is a small, historic village on the road between Paignton and Torquay. Cockington is home to a historic craft centre where you can watch and enjoy master crafters doing what they do best. Crafters include;glassblowers, blacksmiths, soap makers, leatherworkers, potters, gilders and carpenters. For those of you who enjoy a gentle stroll, why not go and have a look at the Babbacombe model village, where you can see the world in miniature! 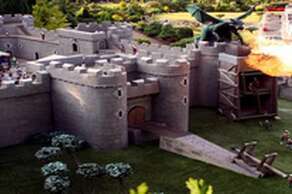 Babbacombe Model Village contains thousands of miniature buildings, people and vehicles that capture the essence of England's history. Kents Cavern For the more adventurous types, be sure to visit Kents Cavern. The cavern is a prehistoric cave and award winning attraction that was used by Britain's earliest ancient humans, thousands of years ago. Today the cave is a protected national monument and an internationally renowned prehistoric show cave. You can find it on Ilsham road in Torquay. Situated on Totnes Road, Paignton Zoo is one of the UK’s largest zoological gardens, playing host to an abundance of weird and wonderful creatures, both great and small. 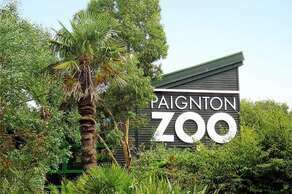 Paignton Zoo is an excellent and worthwhile experience for all the family. Owned by the same charity that runs Paignton and Newquay Zoo, Living Coasts is a specialist coastal attraction that houses a number of exotic and local species of underwater critters. Everything from rays and octopi, to seals and penguins, can be found within the easy to reach attraction. Just look out for the giant netting on the other side of Torquay harbour!